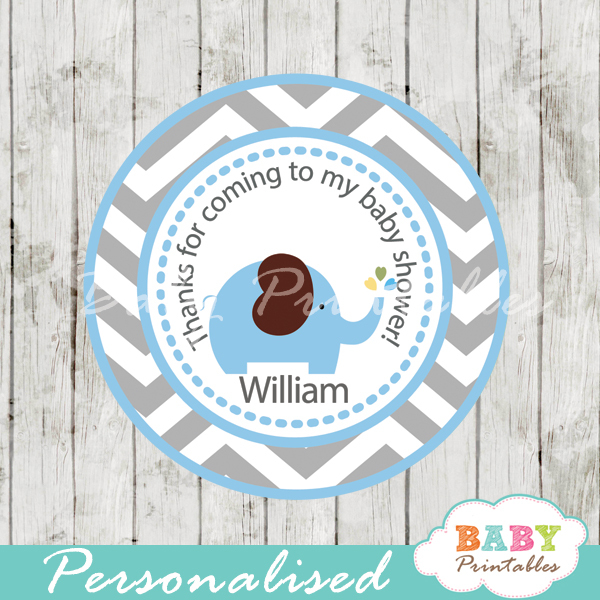 A little peanut is the on the way! 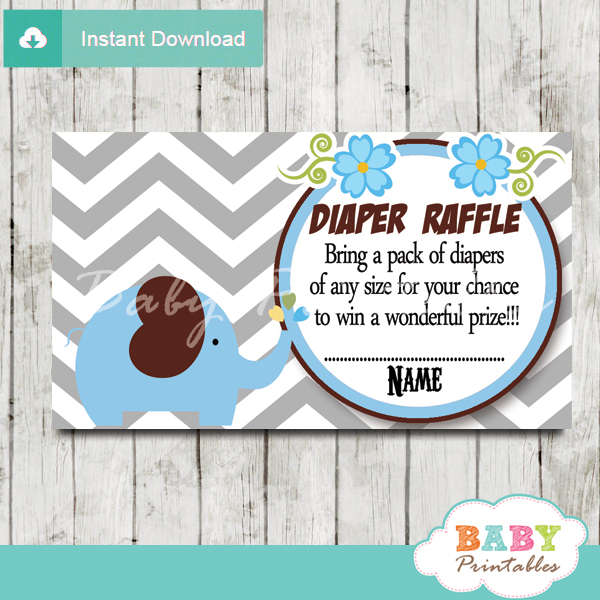 Celebrate the event with these elegant elephant baby shower invitations girl. 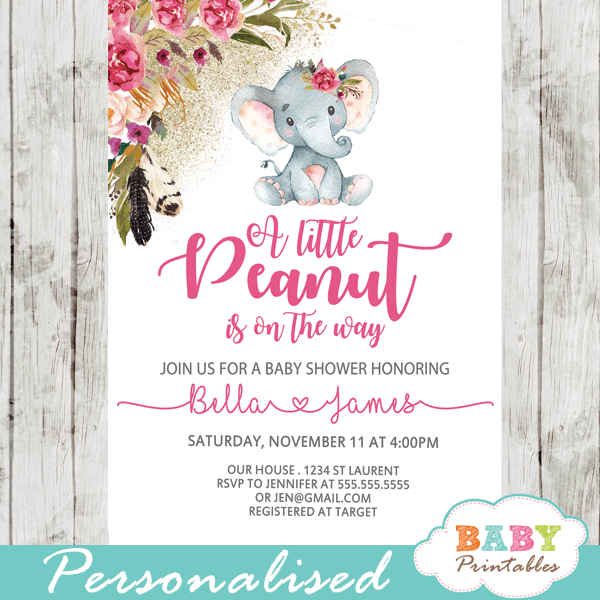 The little peanut baby shower invitations feature an adorable baby girl elephant wearing a floral pink bow against a white backdrop. 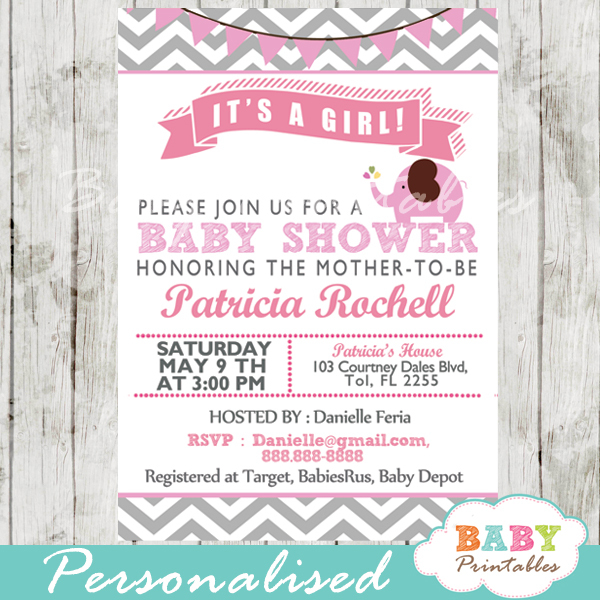 The elephant baby shower invitations are decorated with a beautiful watercolor floral arrangement in pink accents and boho feathers against a fine sprinkle of faux gold glitter. 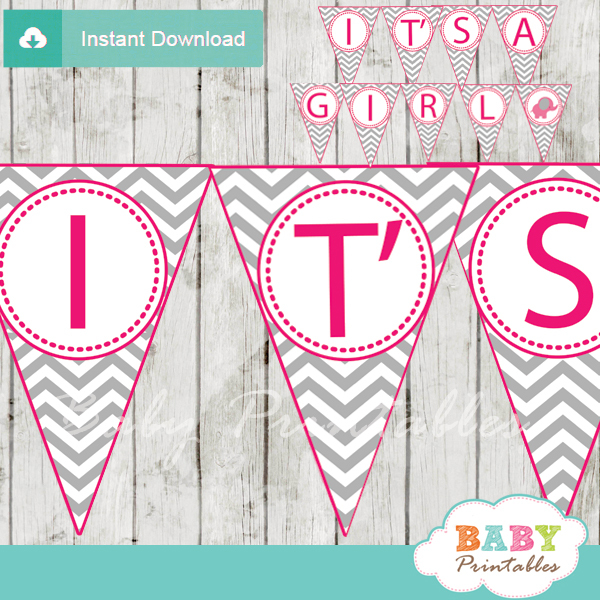 A perfect elephant baby shower theme for girl.